A professional flat iron that heats up quickly in seconds and provides very hot, even temperature along the plates for healthy, shiny hair. The NEW improved features, including the higher temperature to 450F and dual voltage for international use. This is the BEST iron on the market in the professional salon business. 3. Causes less damage to the hair cuticle during styling. Tourmaline Technology : Tourmaline is a mineral and a natural source of far infrared heat and negative ions, and has similar benefits as ceramic. Nano-Silver Technology : Silver ions and silver compounds have a toxic effect on some bacteria, viruses, algae and fungi. Its germicidal effects kill many microbial organisms. Silver also has the lowest contact resistance of any metal, reducing friction for gentler styling. Heats up to 450°F (232° C). Ceramic Heaters make this the HOTTEST iron on the market. 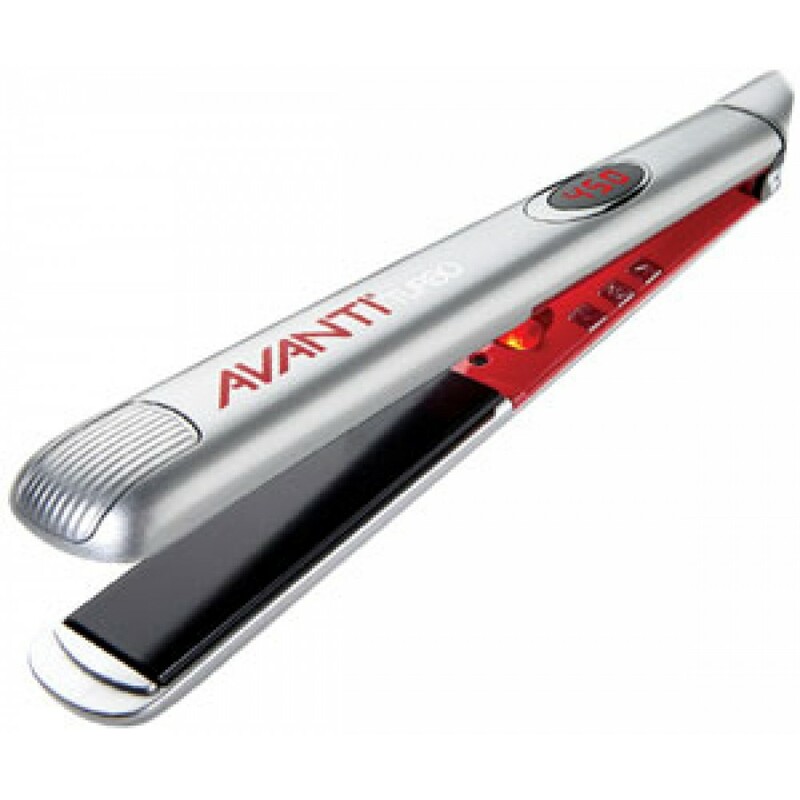 You're reviewing: Avanti Ultra Turbo Infra-Red Digital Flat Iron, 1"